through travel, and that visiting sacred sites will enhance your soul journey? 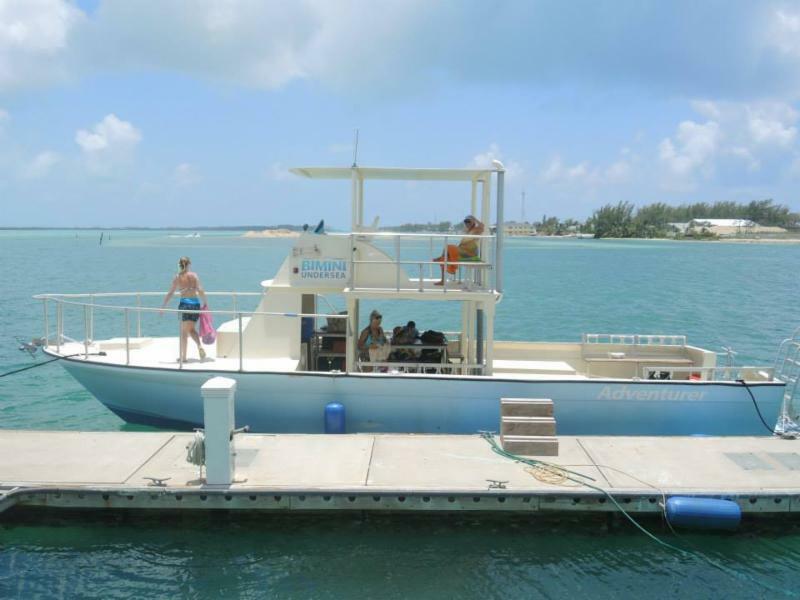 What is included in Bimini Blue Package? 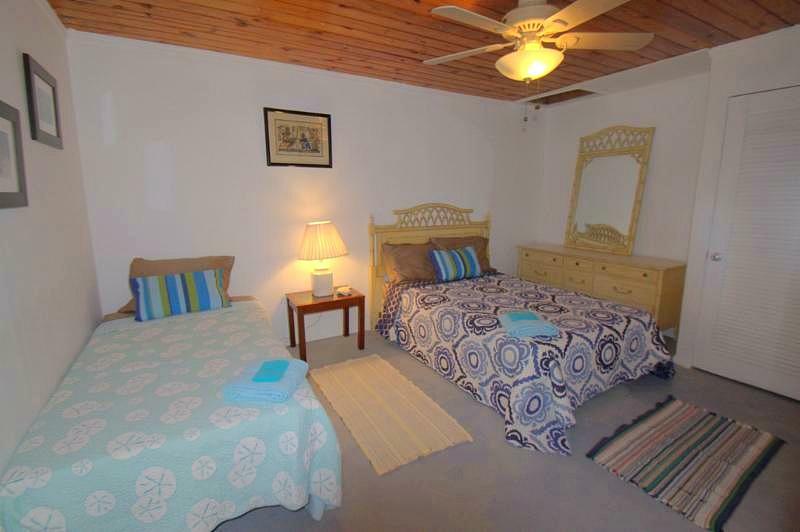 ​The retreat center is on a lovely location directly on the bay with amazing sunrises and outstanding views. 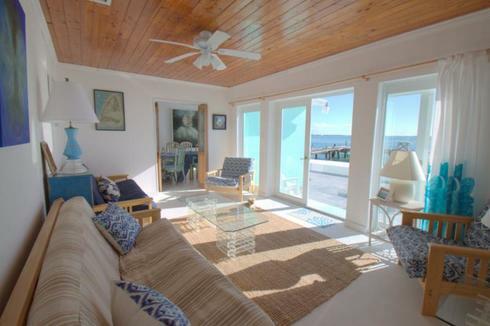 It is beach chic, relaxed and informal living. Unwind by the ocean and watch the pelicans drift by and become mesmerized as the sunlight plays and glistens on the Atlantic. 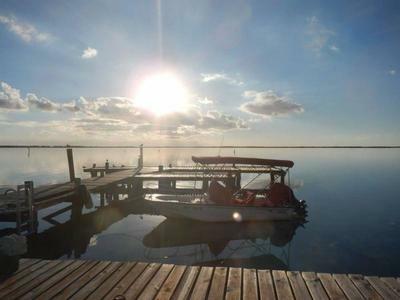 Sitting by the dock, you feel the soothing tropical breezes caress your skin and sink into a deep serene state of mind. There are 2 types of rooms available to accommodate your needs. 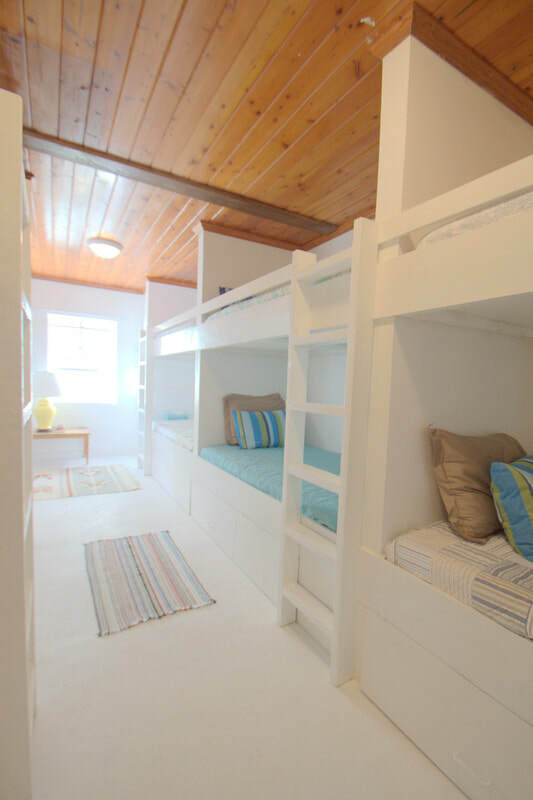 A dorm style accommodation with luxury adult sized comfortable bunks and shared bathrooms. The other are 3 private en-suite rooms. ​You will be offered 3 delicious meals daily, in addition are smoothies, a wide variety of herbal teas, snacks and water. 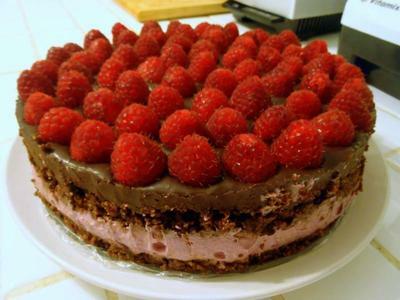 The philosophy is to create healthy nutritious, and organic (when possible). All meals are prepared with a consciousness of love and the goal is to provide a detoxication experience. ​The staff trained at the famous Hippocrates Health Institute in West Palm Beach in many aspects of food combining and put great time and love into creating scrumptious, healthy meals that everyone loves! This is a place for detoxifying the mind, spirit and body, and they feed you accordingly. Please know that the food is delicious, and you will feel great. 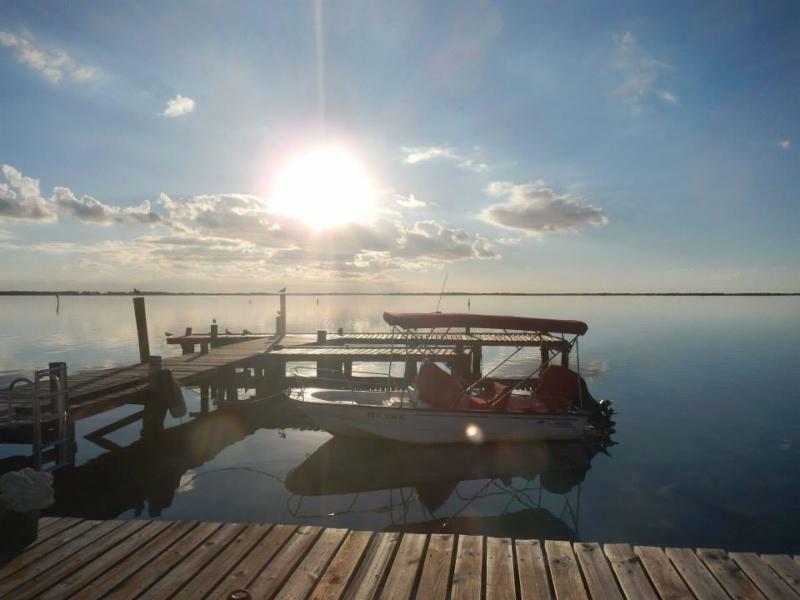 ​You will enjoy 4 boat trips. Two of these trips will offer an opportunity to swim with wild dolphins, and to explore the exhilaration that only this situation can offer, a deep sensation of healing while investigating the concept of oneness with all living creatures. ​Swimming with wild dolphins is a life changing experience! People tell of it being a catalyst for enhancement of their life. The dolphins have a profound effect, and this is unmistakable from the "glow" people have after connecting with these wise sentient beings in the wild, totally on their terms. You sense you are in another world, one that takes you into the moment and leaves you full of bliss and joy. ​The boat leaves after lunch for the area where dolphins are frequently sited. This can be immediate or take hours to find them. Once we find them, or rather they find us! We wait to see if they are resting or if they want to play. If we get the right signals from them that they wish to interact, we get ready to swim with them. This can last minutes, or hours and you may swim with just a few dolphins or pods of up to 20 or more. 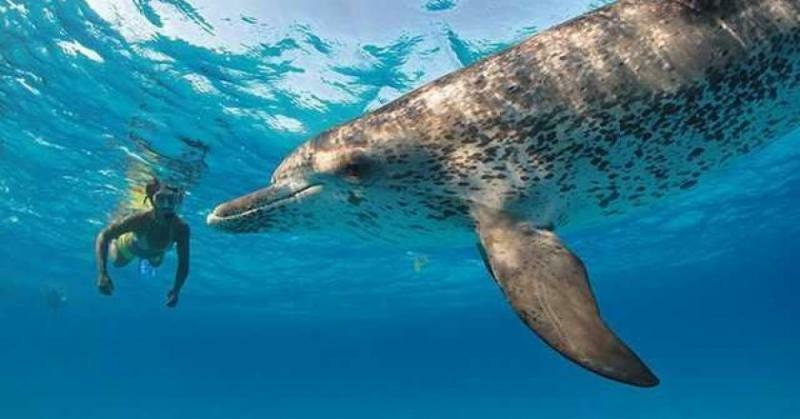 There are two types of dolphins around Bimini, the Atlantic Spotted dolphins who love to play, and the Bottlenose, who can be a little more distant and aloof. Each experience is individual, deeply moving and always blissful. 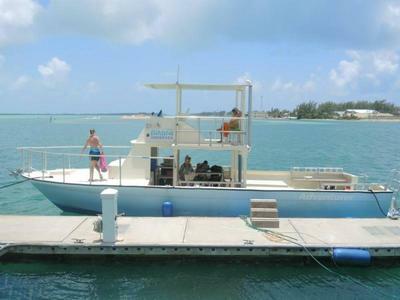 There are also 2 additional boat trips: Bimini Road and the Healing Hole. We take a scenic boat ride from the retreat into the ocean and snorkel above Bimini Road. Then you can clearly see the structures and the formation of these massive remnants of Atlantis. 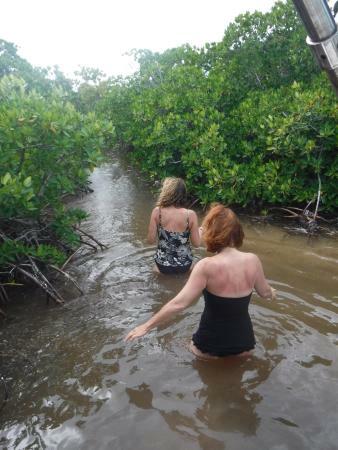 The day of the Healing Hole, we travel by flat bottom boat at high tide to the Healing Hole. 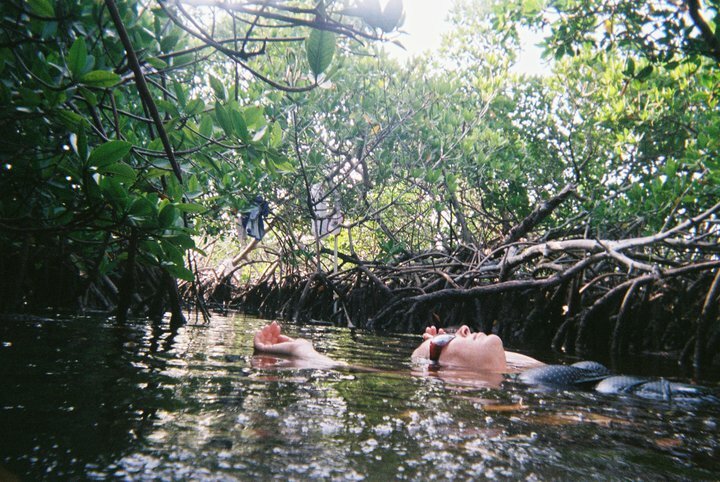 There we will wade through the mangroves to the location of the sacred spring and participate in a blessing ceremony. An unusual group of rocks and stones, one half mile off the coast of Bimini, has received a great deal of attention since it is quite accessible to scuba divers. Large boulders, some of them four or five feet thick, are arranged in the shape of an immense reversed "J" in about 15 feet of water. Some, with square corners, appear to be manmade. Two parallel lines of these stones extend about 1,900 feet before reaching a flat section of smaller rocks where the configuration turns at a 90-degree angle. Dr. Zink and others believe this is the remains of a prehistoric road. A natural well of water enters a pool in this natural setting amidst the mangroves on the deserted east side of Bimini. The water contains significant amounts of lithium, sulfur, and alpha radiation. It has been called “the healing hole” by the local inhabitants. It is the only site to date that has been discovered of the many wells described by Cayce which have various healing qualities. His visions were of temples dedicated to each of the curative waters. Edgar Cayce describes healing sulfur water near Bimini, and he suggests the development of a center for regeneration there, which would take advantage of the beneficial qualities of the waters in surrounding waters. (EC 587-4.) In the salt water mangrove swamps on North Bimini a hole of fresh water, which resembles a large well that may be spring-fed, has acquired the name "healing hole". Recent A.R.E. investigators report that when they swam in the water it had the happy effect of raising the spirits of each of them, making them feel cheerful and lighthearted. Psychic and dowser Verne Cameron believes an ancient temple once stood not far from the "healing hole". Perhaps the water in the Bimini area produces a rejuvenating effect on one's adrenal and pituitary glands, stimulating beneficial hormones? This would account for the story of the Fountain of Youth. The following events are offered throughout our stay. ​Presented daily yoga at 8am. Classes are suitable for all ability levels and all equipment is provided. Classes are held on the dock, at the beach, or in the beautiful yoga room. At different times, different types of yoga may be offered, generally it's "Intuitive Yoga" as it goes with the flow and dynamics of the group or individuals. ​It is a mixture of Hatha Yoga, Vinyasa Flow and Kundalini Yoga. ﻿The Quantum Light Breath is a breathing meditation process that accelerates personal transformation by releasing withheld feelings and revealing unconscious programs. It is designed to take participants into an expanded state of consciousness and ultimately into blissful embodiment. Here, Universal Love is experienced as a natural reality, not as an unreachable concept, where there is a deep connection to the Universal Intelligence. Quantum Light Breath participants often describe "Satori," or awakening experiences during the practice. We do this as a group session with a facilitator, making sure that everyone is getting the most out of the meditation. The conversation and sharing afterwards is an amazing way to connect to our own experiences and to each other, producing often profound experiences. ASAP - $150.00 Deposit Due Date. This ensures your spot on the New Atlantis Rising: Bimini Blue Tour. At that point you must confirm the type of accommodations you desire. March 1, 2019 - $600.00 payment due. May 1 st , 2019 – Final payment due. Either $1470 for dorm accommodations or $1805 for private en-suite accommodations. This entire project is divinely guided and orchestrated with the most marvelous synchronicities. 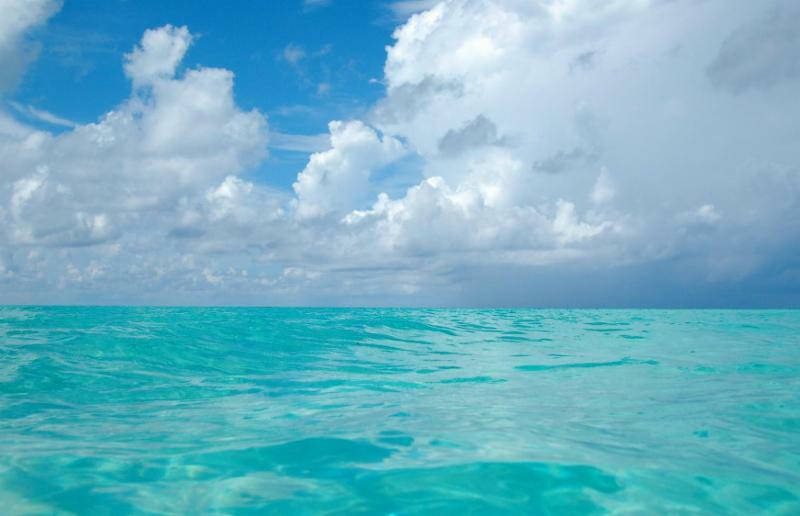 Bimini is a magical, sacred place it is my intention to honor this significant point on the planetary grid by recreating an experience of wellness and rejuvenation the likes of which has been seen since the times of Atlantis! ​I look forward to sharing the bliss, peace and healing with you. 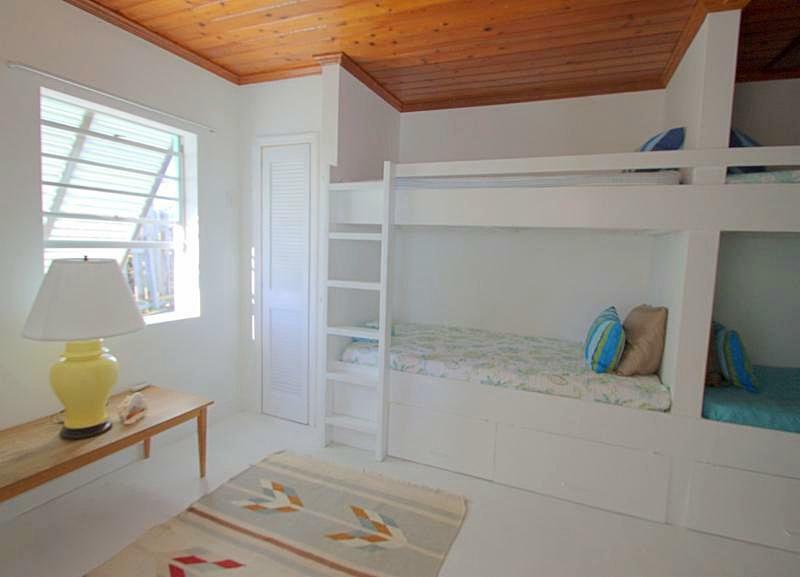 Flights to Bimini, or transfers to/from airport to retreat center. Use of Golf Chart for transportation around the island. 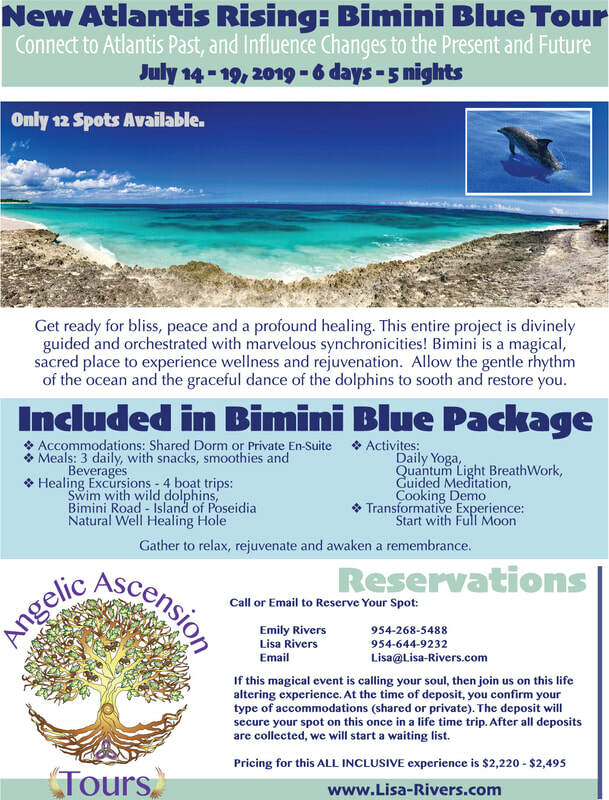 Bimini Blue Package includes Accommodations (Shared Dorm or Private En-Suite), 3 daily meals with snacks, smoothies and beverages, 4 Healing Excursions boat trips (Swim with wild dolphins, Bimini Road - island of Poseidia, and Natural Well Healing Hole), Daily Yoga, Quantum Light BreathWork, Guided Meditation, and Cooking Demo, Transformative Experience with Full Moon and End with Summer Solstice. "You are by far the best reader that I've ever been to!" - Barbara M.
"It was definitely the Angels that guided me to find Lisa! Her advise, readings, guidance (everything she offers) have been of tremendous help to me in some challenging times. Her easy caring manner immediately put me at ease. Thank you so much for sharing your gift with me. Your guidance answered so many questions and explained so much. It gave me insight to my past and positive suggestions in moving forward in my life. Lisa is a true light worker!" - Lisa H.
is given to Lisa Rivers and www.Lisa-Rivers.com with appropriate and specific direction to the original content.